It is a computational tool based on a specific survival model. Our task is to generate a survival model and our output will be a life table. 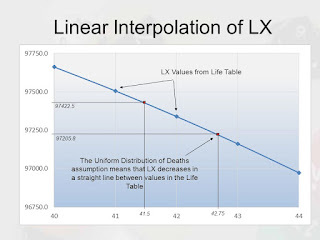 Life table is based on Unitary method. NOTE: We call it expected and not actual because most of the values will be in decimal too, so how can it be actual. · If the force of mortality of a newborn is constant, it means that the expected future lifetime of this life is 1/μ no matter what age he is in. 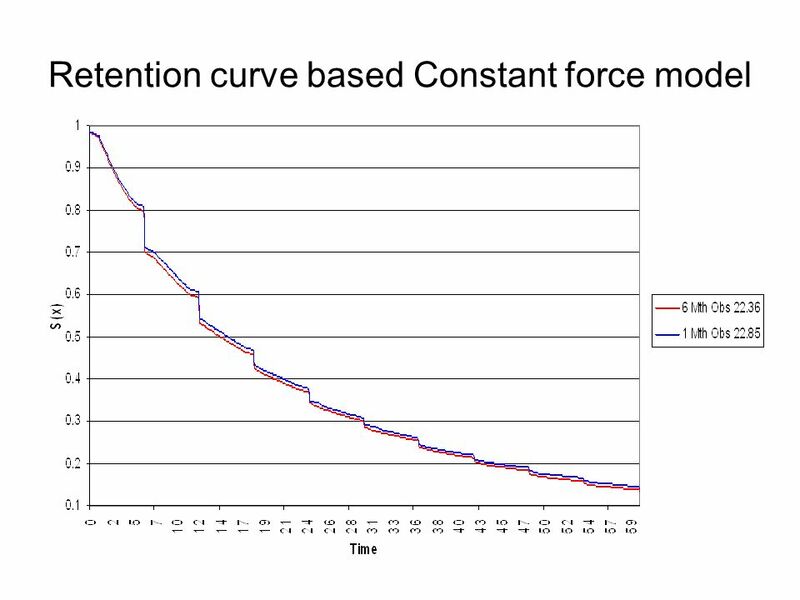 · Survival Function in this case will decrease exponentially. · It assumes that deaths are uniform over a period of time. For ex: There are 24 deaths in a year then it means there are 2 deaths in a month or 1 death in every 15 days. · It assumes that PDF of Tx to be constant if it follows uniform distribution. · Survival Function in this case will decrease linearly. · It means that mortality is heaver in the first half of the year than it is in the second half. · The force of mortality decreases in late teenage years/early twenties, so the Balducci assumption may be more appropriate there. Look at the values for mu in the AM92 tables. · You can see here the hump between ages 15 -20 years of age. This effect is called the "accident hump", which is described in CT5. 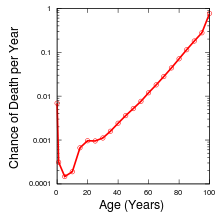 Basically, mortality comes to a small peak around 17/18/19, and then decreases. The peak is usually associated with deaths from car accidents of inexperienced drivers, and drug/alcohol-related deaths. Gompertz law is an exponential function and it is often a reasonable assumption for middle ages and older ages. Formula is ux = Bcx. 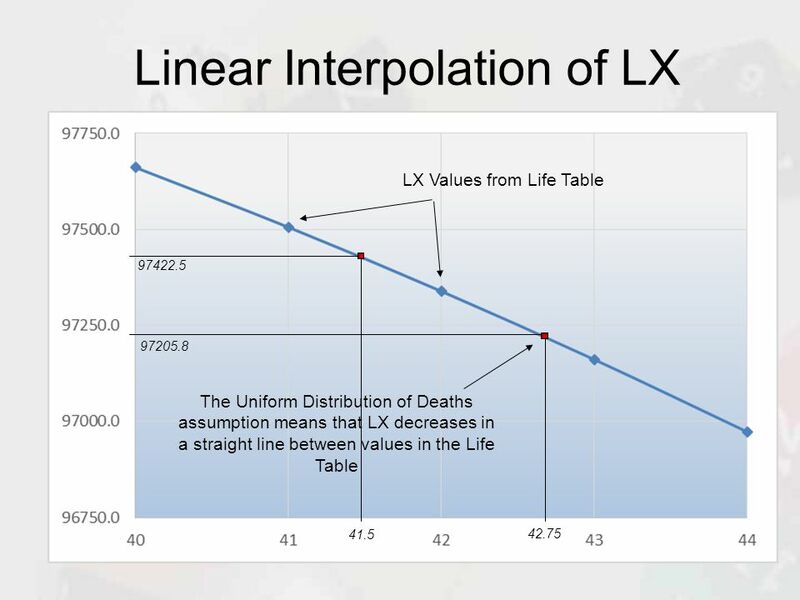 Now we say that it is a reasonable assumption between 35-65 years of age because if we take the log of the equation i.e logux= logB + xlogc , then we can see that increase in rate of mortality with age is constant which is often a reasonable assumption. Makeham law formula is ux= A+Bcx. It incorporates a constant term, which is sometimes interpreted as an allowance for accidental detahs, not depending on age.